According to the BBC, Liverpool's financial figures reveal they've reached a world record level of net profit: €120.8m. Diving deeper into the numbers, the Reds made an annual pre-tax profit of €142m - up from £40m - as turnover increased in the 12 months to May 2018 by €102.5m to €518m. 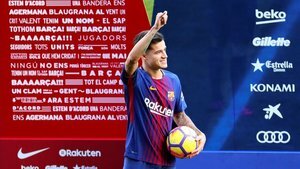 The reasons for those high numbers are various but one of those has to be Coutinho's transfer to FC Barcelona in January 2018. €120m of that was fixed with it possibly rising to €160m if he - and Barça - hit certain targets. Klopp's side also reached last season's Champions League final but lost to Real Madrid. They still raked in €82m for getting that far. They also earned a total of €156m in transfers with the majority of that being reinvested into the squad. Liverpool move ahead of Arsenal and sit third in the Premier League's financial table. Only the two Manchester sides, United and City, remain ahead of them.